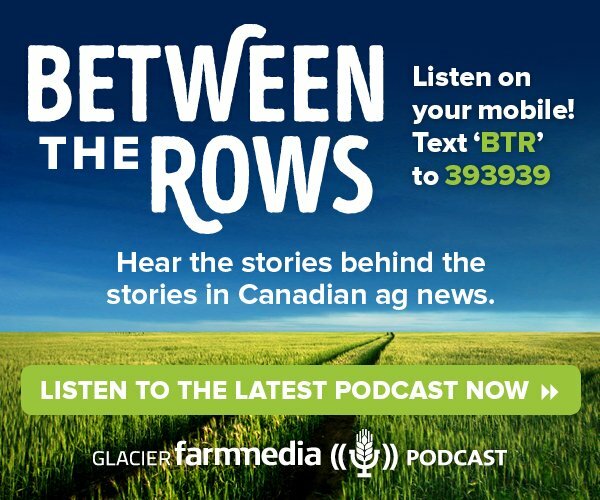 Long cold winters, intense and short farming seasons, tight margins and shortage of labour have long been credited for Western Canada’s agricultural innovations. For the past three winters, one of the fathers of reduced tillage equipment has been taking in the sun in Mexico and considering the next step-change in agriculture autonomous work. 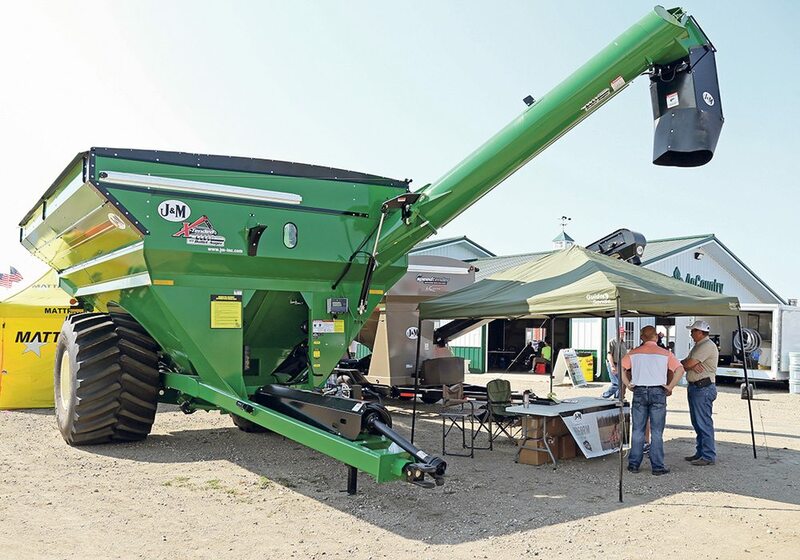 Stepping back from the day-today has given me the opportunityto consider the subject of farm machinery size, the constant trading cycle and everything that goes with it,” said Norbert Beaujot, the founder of SeedMaster. 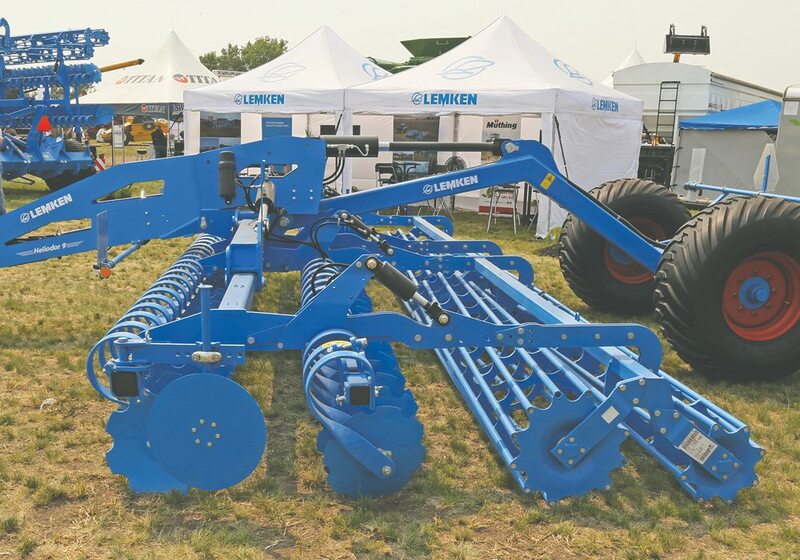 The seeding equipment inventor and manufacturer grew his Saskatchewan operation into a global business that continues to grow after 25 years. “I asked myself why we need the tractor in the first place. It is just a part of bigger,” he said. 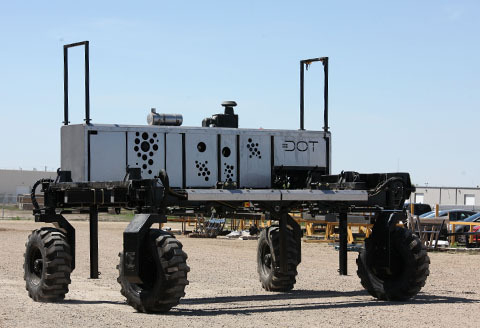 The result of Beaujot’s consideration of the issue was DOT, an autonomous, powered farming platform. 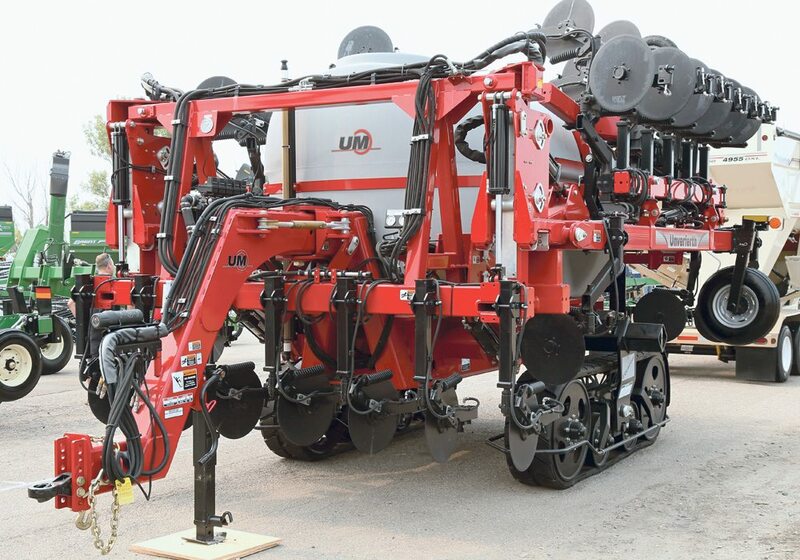 It’s a big, U-shaped tool carrier that wraps around the implements it operates. There’s no need for giant tires, ballast and hundreds of horsepower just to move the power unit or cab and operator station. “We purposely didn’t put a seat on it. If it was there, somebody would want to sit on it. That’s the wrong direction,” said Beaujot. 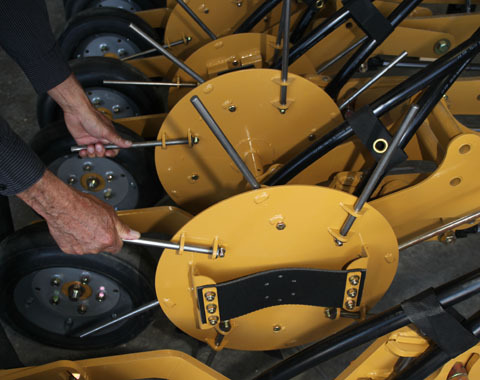 The DOT platform is designed to carry and power the implements, following a predetermined waypath in the field. 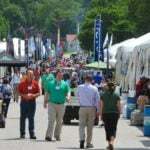 Trent Meyer, who runs SeedMaster, a sister company to Dot Technology Corp., said optimizing those paths is one way that the DOT system pays its way. “No farmer intends to drive around needlessly in their fields, but no farmer will tell you it doesn’t happen all the time.… With DOT, the farmer predetermines where the machine will travel before it gets to the field, for the most efficient operations,” he said about the system’s specialized guidance and field operations software. American, Eastern European and Australian markets. A smaller version will be built for Europe. To do this, Beaujot had to solve ne other issue. Seeding tools on the relatively narrow spacings needed for the small grains and oilseeds grown on the Prairies had to be set on toolbars in multiple ranks for residue clearance. “I have been working on that since the start of Seed Hawk,” he said of more than 25 years of trying to deal with the issue. developed to operate between the shanks. A single rank of drill shanks was needed to allow the DOT to turn end-ways for transport. The 30-foot unit rotates and measures just 12 feet wide when operating on the road. Beaujot has long been concerned with the size of machinery in transport, so this met one of the safety and road damage objectives. 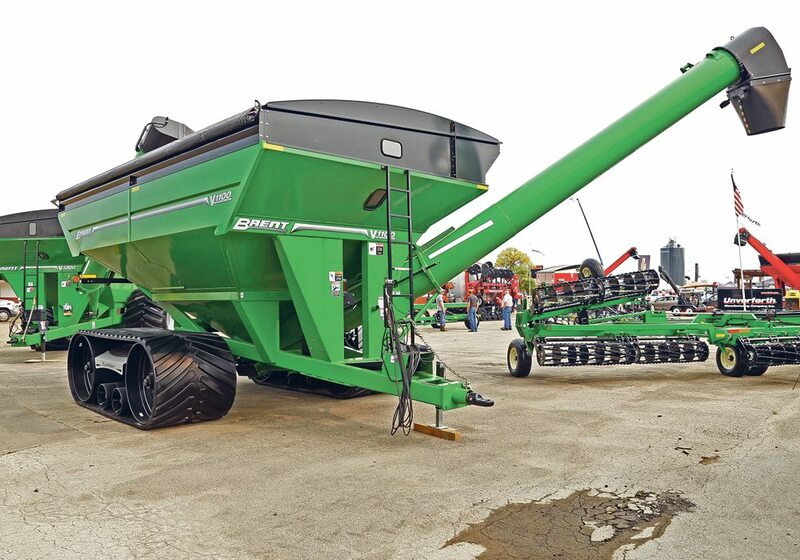 The 30-foot width was based on average seeding windows and combine capacities. Two of the DOT units could seed 4,000 acres “with lots of capacity to spare” said Meyer. “They would do the work of a 70 or 80 foot unit and do it far more efficiently,” he said. As well, an operator could run multiple machines because of the autonomous operation. 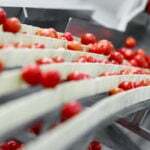 Beaujot said the labour savings are significant, but the machines also don’t need to stop to accommodate human needs. “Not every farmer wants a Seed-Master. They might want somebody else’s technology, and that is great, too,” he said. Implements attach to the DOT with a set of latches, and the unit picks up the tool and powers it. A 164 h.p. Cummins engine provides the juice for all operations. Individual wheel motors and high efficiency hydraulics allow for some creative field maneuvers that a tractor and towed implement could not achieve. As well, per acre fuel costs are very low with average savings of about 30 percent. At about 8,000 pounds, the DOT powered platform weighs only as much as some large pick-up trucks. Farmers operate the unit from a Windows SurfacePro tablet, where all the brains for the unit reside. mechanical and electronics as simple as possible. The size of the units also allows smaller farms to get the same higher-end technologies that larger ones enjoy. Larger farms just use more units. 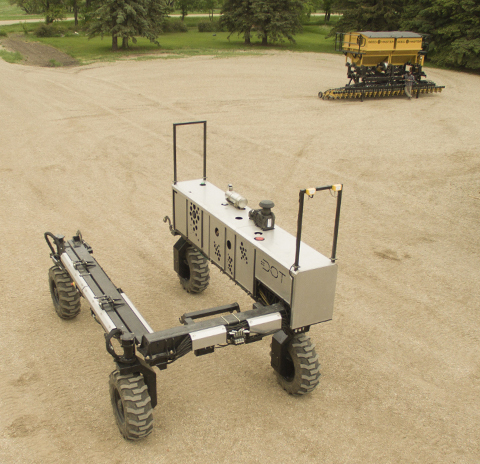 Six DOT units will be tested in the southern Prairies for the first year, and farmers will get their first chance to see the machine run during live demonstrations at the Ag In Motion farm show west of Saskatoon in the third week of July. 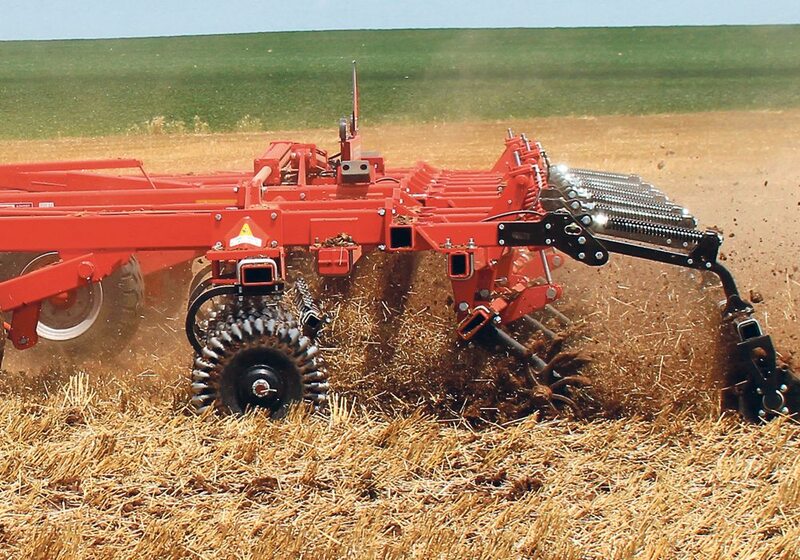 “This is prairie farmer’s solution to autonomous machinery. 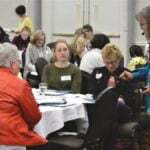 They can ditch the hitch,” said Beaujot. To better understand how the residue management system works, allowing the DOT seeding unit to operate in a single rank see our story here.